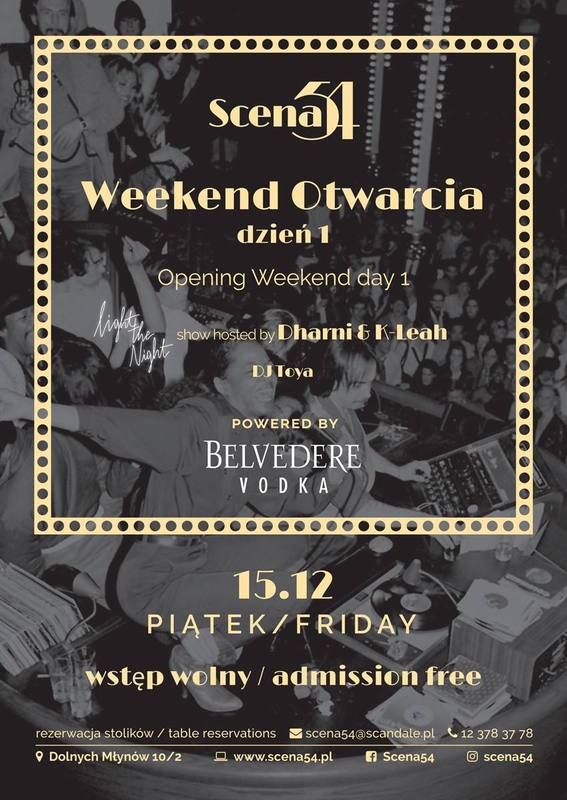 On Friday (15/12) - we are pleased to invite you on the first day of the Opening Weekend, whose partner is the Belvedere Vodka brand. As part of the evening will be a delightful show 'Light the Night', and the entire space of Scena54 will be decorated with luminescent elements. The evening will be hosted by a charismatic Dharni beatboxer, who will appear #NaScenie in the company of K-Leah - singer with an outstanding vocal. In 2014, this duo reached the “Must Be The Music Poland” finale. Dj Toya - the ambassador of the best clubs in Silesia will take care of the music at the highest level and excellent fun on the dance floor in the atmosphere of Nu Funk, R'n'B and Deep House.